Additional Information: Neither Beckett nor SCD list any information about this set. 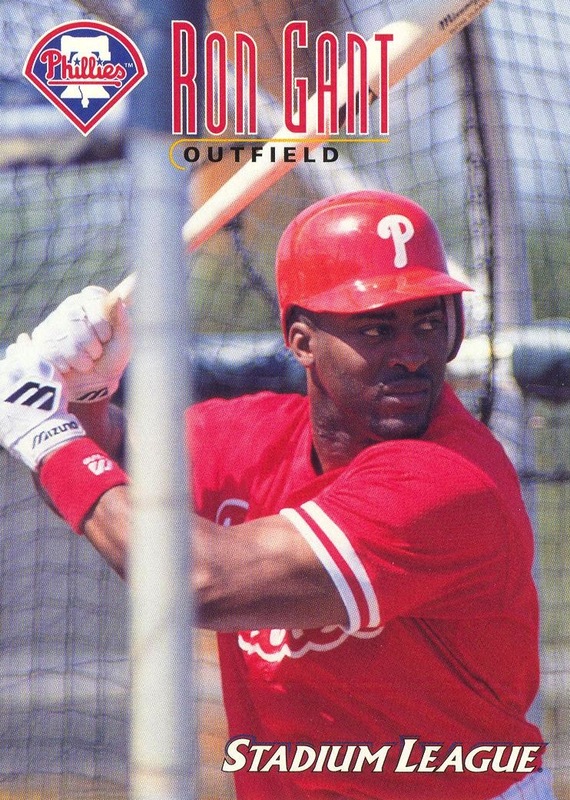 According to the small print on the back of the card, a company called Creative League, in conjunction with the Phillies who appear to have supplied the photos, produced the set. Children who played a card flipping game in the Fun Zone located in the 200 Level concourse of Veterans Stadium received the set as a prize. Although printed in 1999, the sets were still used as giveaway for the same card flipping game during the 2000 season. 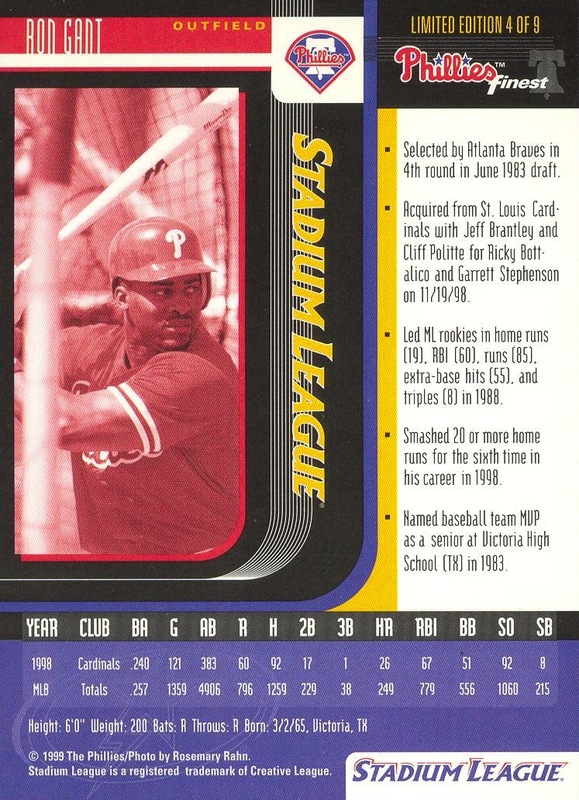 The Phillies also worked with Creative League to produce the 1999 Stadium League Phillies Fan Appreciation Day set.